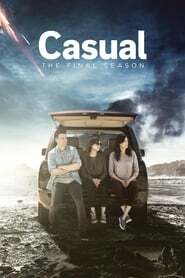 Casual - Season 4 (2018) | Khaanflix | Watch Latest Box-Office Movies Online for Free! Season four starts several years in the future, and much has happened since we last saw our characters at the end of season three: Alex and Rae are raising a child, Laura is returning from her time abroad with a new job and serious girlfriend, and Valerie is about to make a big life change of her own. The technology may be streamlined, but the relationships are messier than ever.